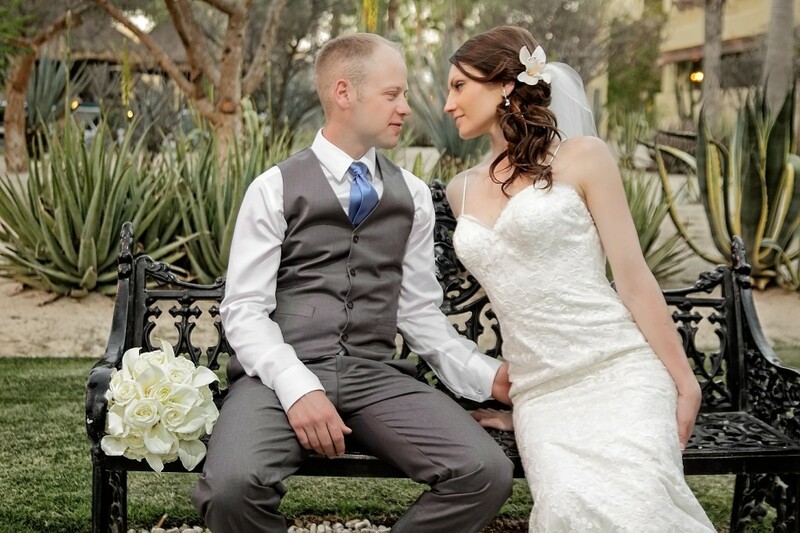 “After describing the style I had in mind, the hair stylist was able to produce exactly what I had envisioned! She spent the time and effort to do her best on the initial trial and it turned out even better on my wedding day. She even recommended adding a special touch with a flower orchid in my hair, which I absolutely loved. I could not have asked for a better hairstylist and team to get me ready for the big day! I was very satisfied with my make-up artist who was also my hair stylist. 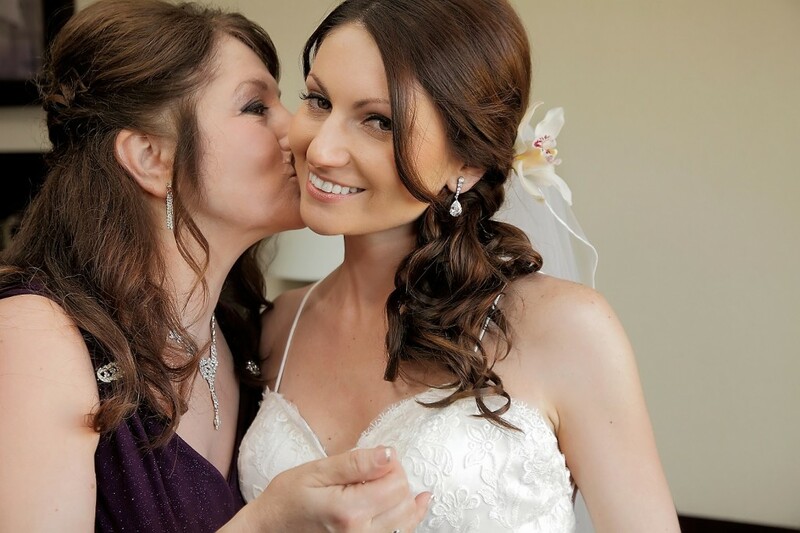 I feel that she did my make-up exactly as I wanted it and took such great care getting every detail right on my wedding day. At every stage she consulted me to make sure that I was happy with the progress and I felt very comfortable the entire time. I could not stop looking at myself when it was done and felt my most beautiful on my wedding day. The make-up stayed on well into the night, even after all the dancing and celebrations and it looked amazing in all the pictures! I was over-joyed and the whole experience was comparable, if not better, to the services I would have received in my home country of Canada. The Wedding Spa Coordinator had excellent communication skills and was fluent in English which made everything really easy. She was very attentive and checked in with myself and my bridesmaids to ensure that we were all taken care of and that the hair and make-up was up to our expectations. 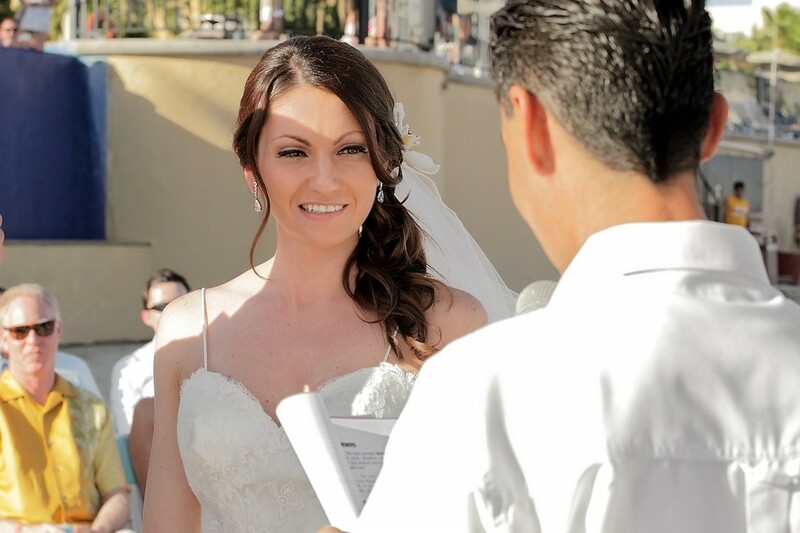 Betty, thank you for telling everyone about your Cabo wedding hair and make-up experience with Suzanne Morel Face and Body Care. We love receiving wonderful feedback from our past brides! And take it from brides like Betty—a trial run at our salon is 100% recommended before your wedding day! This entry was posted in Cabo Bridal Hair and Makeup and tagged beach wedding hair and makeup, bridal hair accessories, bridal hair flower, cabo beach wedding, Cabo bridal hair and makeup, Cabo bridal salon, Cabo Destination Wedding, Cabo wedding hair and makeup, Cabo wedding salon, destination wedding bridal salon, Mexico bridal salon, RIU Santa Fe wedding, Suzanne Morel salon.